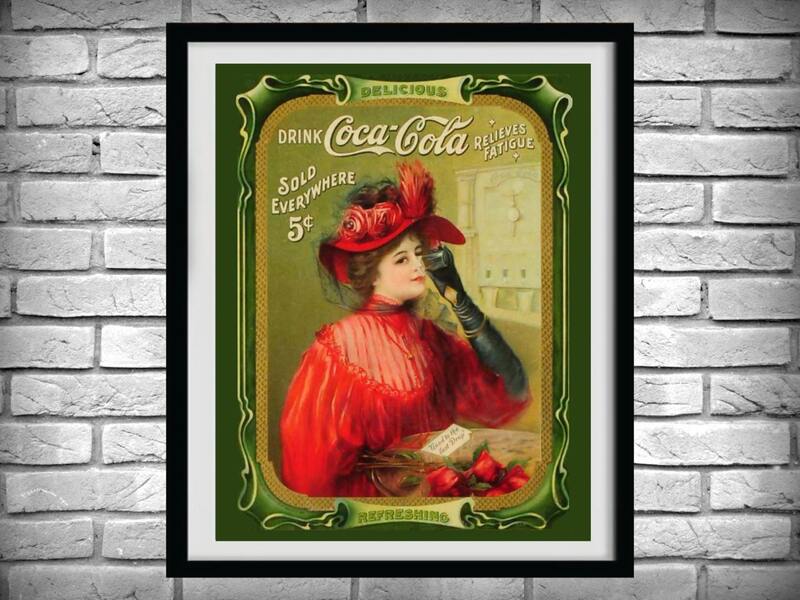 Coca Cola 1908 Coke Advertising Poster Reproduction. 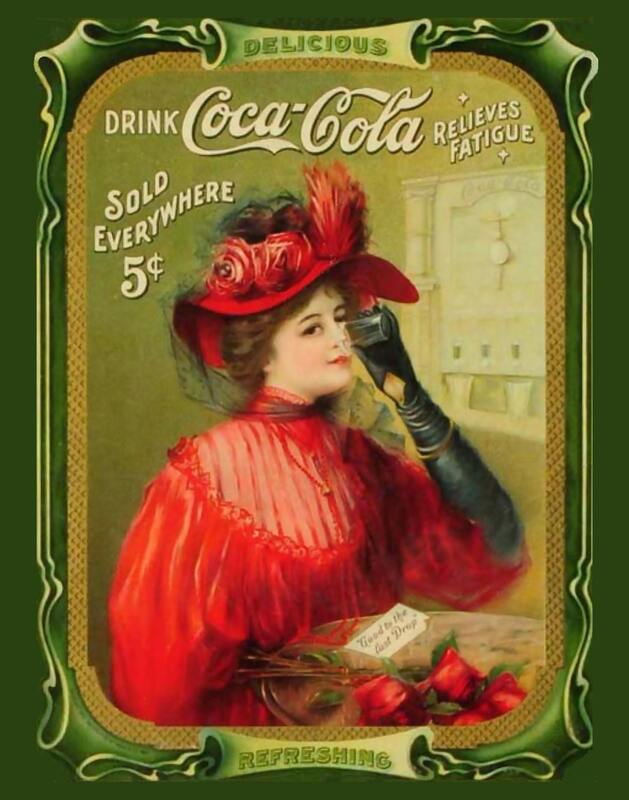 "Drink Coca-Cola 5¢", an advertising poster showing a woman in a fancy red dress drinking a Coke. The note card on the table reads "Good To The Last Drop". The width of the border varies slightly by size of the print. I maintain the original aspect ratio so there is no distortion of the main image.